President Trump weighed in Tuesday on the Justice Department's suit to block AT&T's purchase of Time Warner, criticizing the deal. "Personally, I've always felt that that was a deal that's not good for the country. I think your pricing is going to go up," Trump said. "But I'm not going to get involved. It's litigation." The president's remarks come one day after the Justice Department filed suit to block AT&T's acquisition of Time Warner on the grounds that it would create competitive harm and hurt consumers. The lawsuit is a departure from the DOJ's handling of non-competitive mergers dating back to the 1970s. Trump spoke out against the deal as a presidential candidate, and there was widespread speculation that he might try to block it to punish CNN, a Time Warner property whose coverage of him he frequently criticizes. But Tuesday marks the first time he has weighed in as president. In the suit, the DOJ argues that AT&T could use control of Time Warner "as a weapon to harm competition," resulting "in fewer innovative offerings and higher bills for American families." 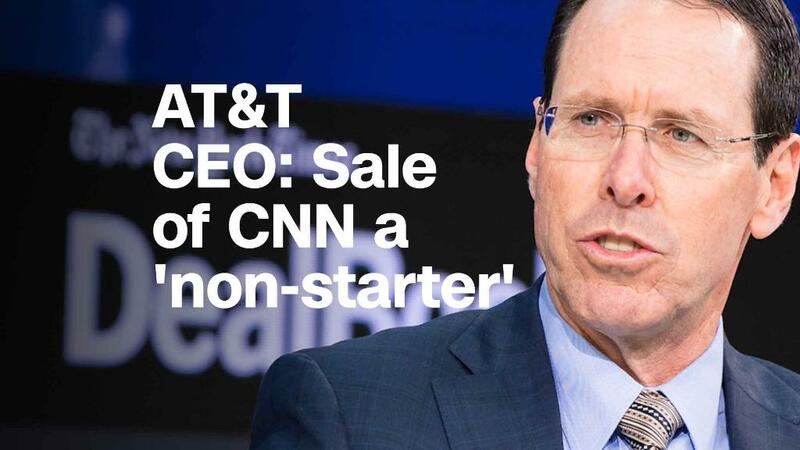 AT&T is prepared to fight the suit in court. On Monday, its general counsell David McAtee II called the suit "a radical and inexplicable departure from decades of antitrust precedent." "Vertical mergers like this one are routinely approved because they benefit consumers without removing any competitor from the market. We see no legitimate reason for our merger to be treated differently," McAtee said, going on to assert that the deal would "help make television more affordable, innovative, interactive and mobile." AT&T CEO Randall Stephenson also criticized the DOJ's decision, arguing that it "defies logic." Stephenson also fed speculation that the Justice Department may have been motivated by Trump's antipathy toward CNN. "There's been a lot of reporting and speculation whether this is all about CNN, and frankly I don't know," he said Monday. "But nobody should be surprised that the question keeps coming up because we've been witnessing such an abrupt change in the application of antitrust law here."